You know what that means: It's time to load up the ole minivan (or chariot of choice) for a big adventure. Are you excited? Scared? Maybe a little of both? Road trips bring hours of fun and bonding for the fam... as well as periods of pain (let's be real) in the form of violent eruptions from back row. Fighting, screaming, tears and sometimes worse. Far worse. Looking for a few magic tricks to stick in your car activity bag, for when the going gets tough? 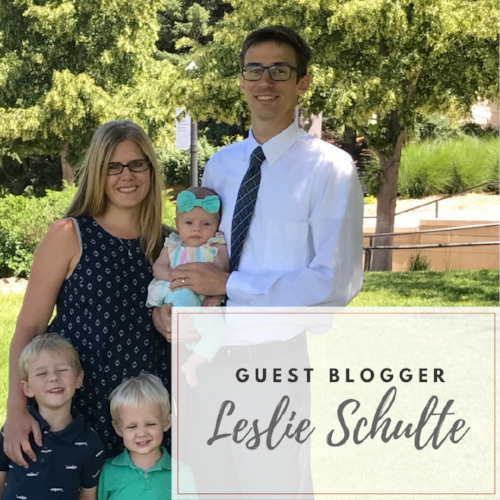 My fabulous sister-in-law Leslie Schulte (who lives in Gretna, Neb., with her beautiful family) has an excellent round-up of mom-approved apps that are definitely worth the download. NOTE: Leslie's post is the first in a two-part series. My next post will be 5 Excellent Touch Training Apps - a companion to Leslie's wonderful piece. Check back for that one soon! Parents who were more-or-less ignoring "the rules" can let out a collective sigh. Yet, we all can agree that we want our children to consume media in a thoughtful way. When screen time happens at our house, we do our best to ensure that the boys (and one day, our daughter) get the very best that the online world has to offer. That's why when DoSpace - a digital work and play space - opened in Omaha, I jumped on board and signed up for a free membership. To say our family has benefited from DoSpace, and its highly sought after Littles Lab seats, is an understatement. Through this Silicon Prairie gem, our family has stayed up-to-date on great STEM books, toys and apps for kids. We have the opportunity to try out all of the aforementioned, discovering what we enjoy most and then choosing which to invest in and which to continue borrowing. When silly monsters mess up the words, children are tasked with restoration and then rewarded with a silly monster sketch that teaches new vocabulary. As the letter is dragged, the letter sound is played, when the word is completed, it is said aloud. The definition sketch follows, giving children multiple learning opportunities within a brief minute or so. Others Originator Inc. apps: Endless Numbers, Endless Reader and Endless Wordplay (there are bundles available). Lightbot is a little on-screen robot that follows the child’s directions, moving around to light up blue tiles. This cute game teaches preschool age kiddos the beginning concepts of coding: humans give directions to the robot, and it follows the inputed directions, exactly as given. 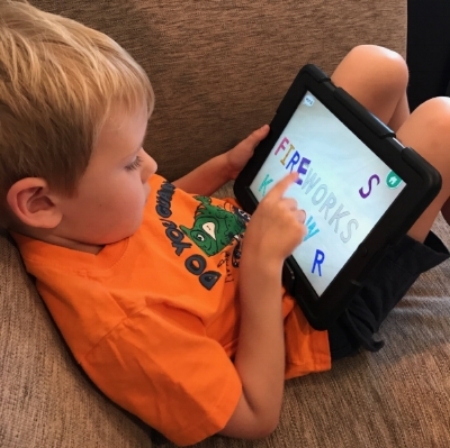 Other coding apps: Lightbot has additional apps for older ages; Bee-Bot, by TTS Group, is another fun, intro-to-coding app. These adorable apps introduce children to the classic tales, then allows them to interact with the story through iPad manipulation—tilt the iPad to play hide-n-seek with the famous Jungle Book animals, drag and drop body parts to build a monster of their own, etc. Simple, sweet and fun. Also by Night & Day Studios: Peekaboo Barn, another family favorite, introduces the youngest of technology users to animal noises while teaching cause and effect. The child helps Dash and Dot prepare for Art Day by exploring the town and completing tasks. This app can be used with or without the LeapFrog “Mr. Pencil” stylus and through repetition helps the child practice writing letters and drawing shapes. Penciltastic! Have an Elmo fan at your house? Elmo Loves ABCs, by Sesame Street, is another app that helps children practice their letters and is also packed full of Sesame Street clips and games. Bring your child’s digital and physical worlds together with the amazing Osmo Game System. This is a pricier app/technology combo kit - one that at this time we’ve chosen to just play with while at DoSpace - but it is amazing! Although it is geared more to the 5+ age group, my 4 year old really enjoys doing some of the more simplistic tangram puzzles and beginning levels of the coding games. Learn more about all of the Osmo apps and kits on the PlayOsmo website. What are your family’s favorite apps for kids? Which apps will my family grow into as we enter the new world of school-aged kids? Post your comments below! Safety Tip: Ever wondering about the validity/safety of an app? Common Sense Media has a great app that helps parents by providing information and rating numerous apps, games, shows and movies. They also have “Best Lists” including a whole section on Best Apps. Enjoy!